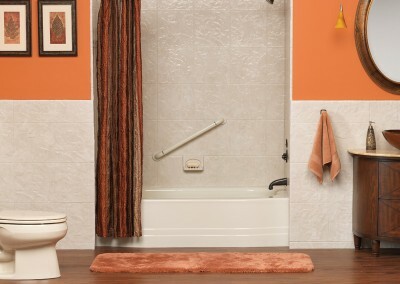 A custom-made bath liner can be installed over your existing tub or shower with no mess, no odor and in just one day. Just look at the results above. Simply Beautiful. The concept is simple and the result is outstanding. 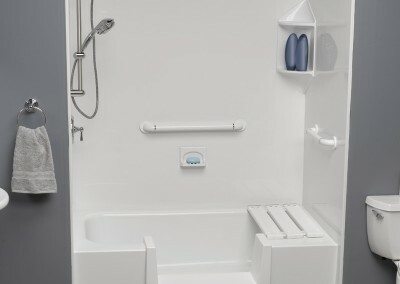 A highly trained technician installs a new tub and wall system over you old existing bathtub and walls without disturbing plumbing, flooring, or walls. If your walls are in poor shape we can also remove and reinstall drywall and replace plumbing as is necessary. The result is a low-cost innovation without the mess! 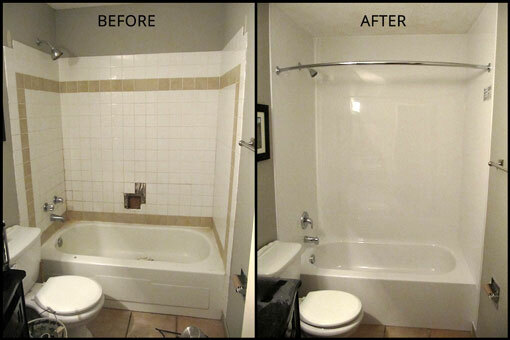 We are also able to complete your bathtub to shower renovations. 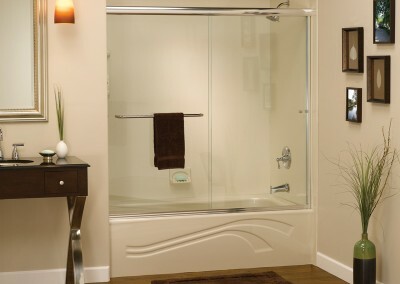 Please contact us today for your bathtub and shower renovation needs. 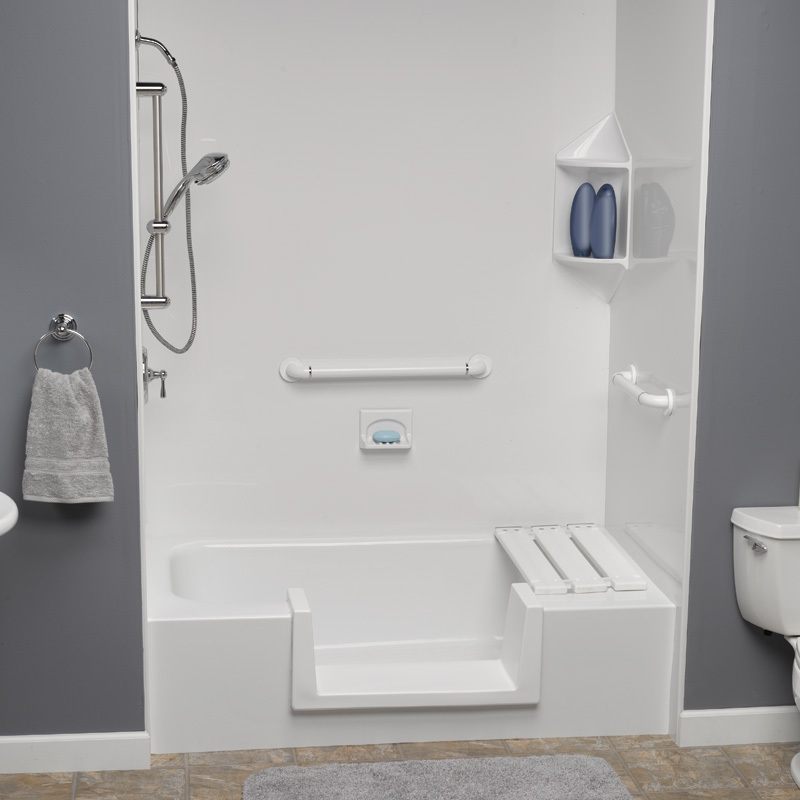 Taking your bathroom from old to new in just one day has never been so easy or affordable thanks to our acrylic bathliners, wall systems, and accessories. The durable acrylic surface will not chip, crack, or peel and it is completely colorfast. Your new bathtub will not stain, yellow, or fade. 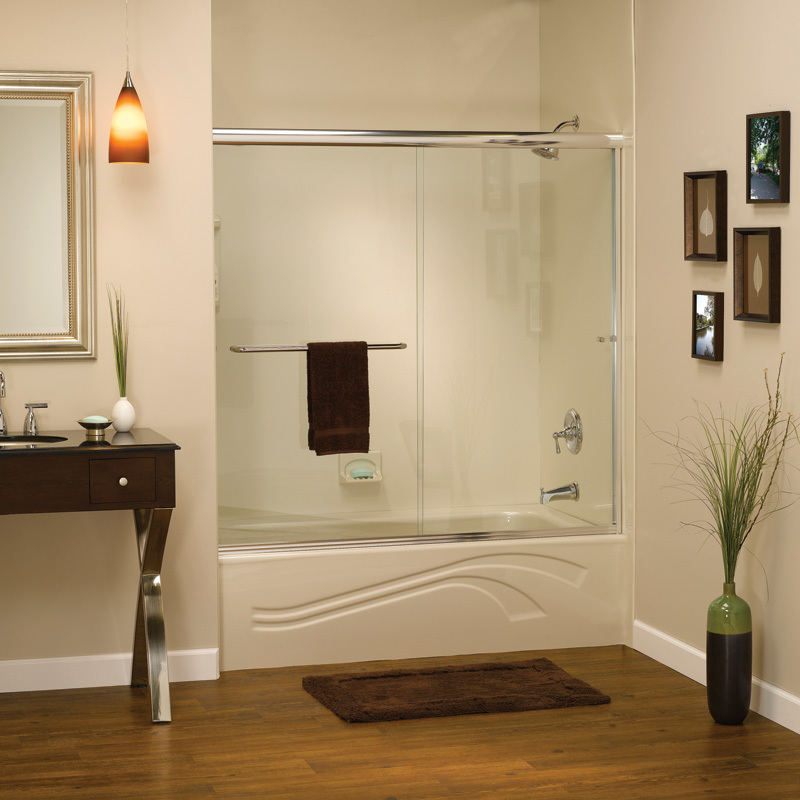 The beautiful mirror-like, high-gloss surface is warm to the touch and easy to clean with no grout lines. In most cases your bathroom will be ready to use the very next day. All of our products are available in many colors. 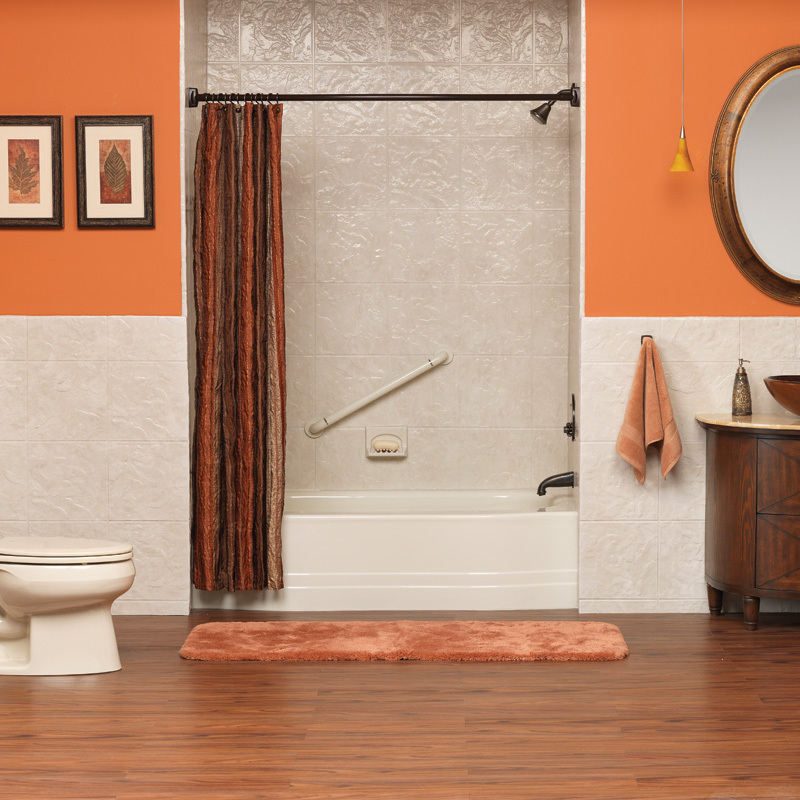 Our experts are ready to help with all your Acrylic Bath and Wall Liner needs.